There has been a long, long hiatus since my last posting. It's a silence due to a quandary of vision. Firstly there was the issue of a geriatric's eyesight. An eye cataract is part of the baggage of old age. The pre- and post operation frustration and discomfort stretched from over 6 months ago to March 2018. But that's to be expected and AsH should not whinge too much - others from her peer group have it worse. I was once asked, "Do you prefer to be deaf or blind?" God's gift of vision is certainly uppermost in my decision. Secondly my ire with vision has more to do my weakness, with a failure to judge and discriminate about people who I regard as honourable friends. One never stop learning, one cannot escape being (metaphorically) slapped in the face by "good friends" even at 74!!! This time not by one, but by three mates. 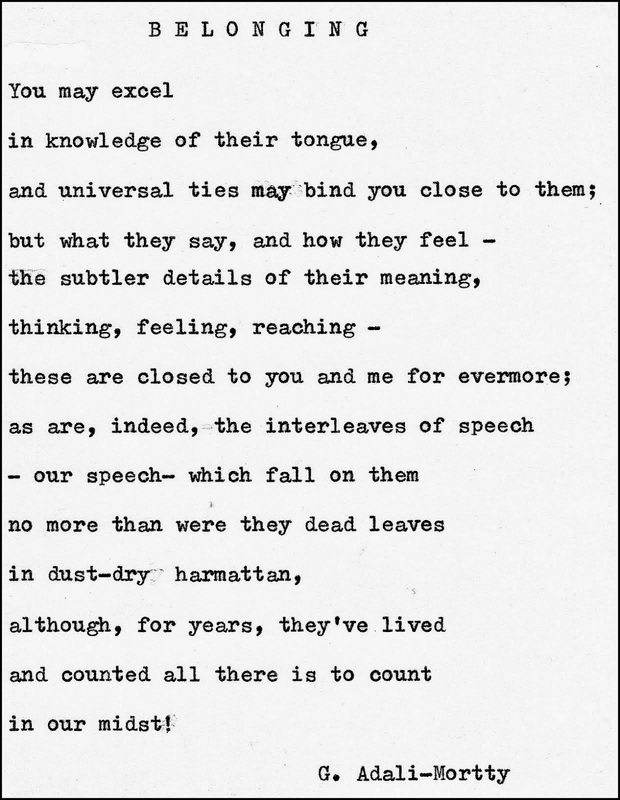 The scales have been removed from my eyes, so to speak. As my mother would put it: "seperti menelan hempedu". Hempedu - a beautiful but bitter herb. Life with crumpets and tea. ........ in our other abode away from the sultry, torrid Tropics. I can try and place my toe once again in the waters of my blog. But every cloud has a silver lining, My brother Mus and I were talking about cataracts and he remembered how it started with Mak's. Too much reading and computer activity have not helped my eyes. But with Mak, she only realized she had trouble with her vision when threading a needle became a sore problem. We took her to hospital to remove the cataract in one eye in 1981 and the other one in 1989. Following my mother's footsteps, I will have the other eye drained sometime. And during that conversation I realized what an avid and skilful seamstress she was. She sewed ALL of our clothes including school uniforms. She learned the art of tailoring men's outfit from Pakcik Rahim, a Minang tailor and a very good friend of my father. 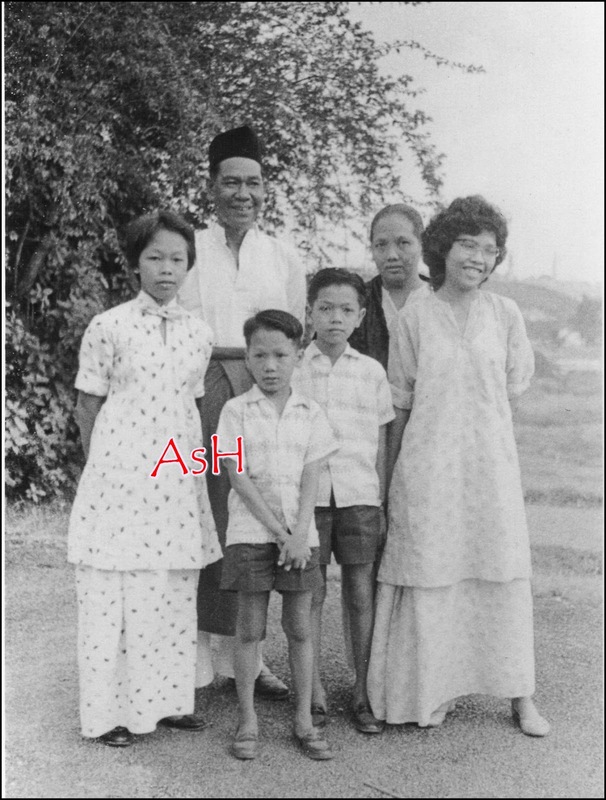 Pakcik Rahim (right) with Mus circa 1947. On the left was another family friend Pakcik Mat. Wise words from Pakcik Rahim for my sister's autograph. Too much reading and computer work did no favour for my eyes. But as for Mak her eyes paid a price because she did too much sewing for her family. I have stored very lovingly all the baju kurung she sewed for me. They were all sewn by hand. And most remarkable of all was her fine skills in embroidering the neck line with her tiny and delicate tulang belut. No wonder she over strained her eyes. About a month ago, I asked Mus to drop in at Setiawangsa to take these photographs. Here are the results of that exciting rainy afternoon when Kamisah's son and daughter got to work and immortalised her loving craftsman(woman)ship. She produced no dissertation, doctoral or otherwise. 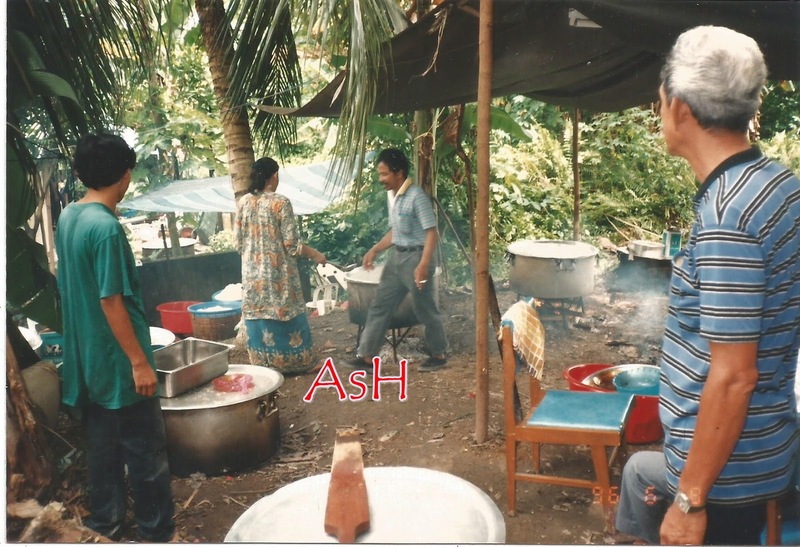 But this was her contribution to Malay culture. It is all the more poignant because I doubt if there are any of my generation or younger who can replicate what she has done. Dear Mak, on that rainy afternoon Mus and I reminisced and celebrated your life. We both acknowledged we took you for granted, we never really delved into the ways and purpose of our mother. You were just and always there but we failed to appreciate your art, your loving gift - you are an artist in your own right. Mak - always sewing away. Here are the results of your artistry, stored in these pictures for posterity - for all of your surviving children, grandchildren and great-grandchildren to treasure. Every inch of my baju kurung was stitched by hand. Note the very delicate tulang belut stitches on the neckline. Mak only sewed Baju Kurung Teluk Belangah, which had a pocket on the left for tucking in a handkerchief, not tissue paper. When we were in our early twenties Abah bought for his two daughters kain songket material, red for me and a gorgeous black for my sister Maznah for our baju kurung. And of course Mak sewed it all! We both have them in our keeping, 50 years hence! I prefer this version by Rokiah Wanda because she kept to the lyrics "Kain songket buatan Malaya" and not turned into the politically correct "Kain songket pakaian budaya". Here are more of my hand-sewn baju kurung. The next is Mak's very own baju kurung which I often wear because it is very laboh (spacious) and very comfortable for a geriatric who has developed a wider girth. This 'silky' batik material was a present from my sister. It was not an easy material to sew because it is very floppy. The stitches are not as fine because of her failing eyesight. It was the last baju kurung that Mak sewed for me. I wore it for all the weddings of her grandchildren. 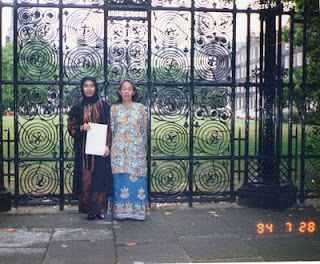 AsH in her baju kurung and Maria wearing her grandmother's baju kurung at Lincoln's Inn, 1994. That's AsH (wearing the above baju kurung ) asking the cook for a plateful of his culinary delight during the double wedding for Maria and Nadzim and her brother Mahzan and Sabrina at Jalan Jengkeng, Batu Pahat, 1996. A year later Mak passed away peacefully. Al Fatihah. For the past six months, life could have been more peaceful. But I was given the time to be philosophical and wistful and re-think about my incredible Mother. 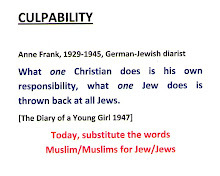 Indeed it had been an eyeful ......... and very, very heartfelt .